I'm sure some of you know that I love Influenster because it gives me a chance to test products I probably wouldn't even know were out otherwise and in several cases I've been so impressed that I have added the product to my daily routine. Over the last few months I've gotten two different VoxBoxes (what Influenster calls their test boxes) that I'm going to update you on now. The first is the Vaseline Lip Tins that they have had on the market for a few months but that we got slightly ahead of the release. There are several different kinds and I ended up with Aloe which I really like. It's scented but very lightly and as soon as it hits my lips they feel nice and moisturized. That's great considering the temperature around here has "warmed up" to 40 but can dip with the sun and any addition of wind so my lips are taking a beating. The tin is pretty compact and if you slipped into your pocket you probably wouldn't notice it 90 percent of the time. The only warning I could add is if you don't want your lips extra slick then keep it light on your lips before you test out the consistency. 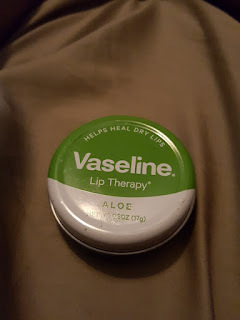 All in all a good product and I like it better than the Vaseline stick. Now the Slim Fast box was a more intriguing one. There were several different products included: shake, snack bar, popcorn and chips. The old shakes were not all that interesting to me so I was least excited about that addition but figured it would be worth a try eventually. The baked chips were your standard healthy alternative to traditional fried chips but with more even distribution of flavor in the chips themselves. They were actually pretty good on the calorie count (100 or less I believe) and there was a decent size serving. I had the sour cream and onion so I can't comment on any other flavor. It was decent but wouldn't be my go to snack compared to the popcorn which was delicious. It was a caramel and coated popcorn and tasted kind of like Popcorn Indiana's offering in that line. In short it was great and I was sad there was only one bag in the box. The bar was equally good and the shake was okay but it hadn't improved enough that it would be a go to option either. I think the entire line though could help those that are short on time add in healthy versions of products so you don't feel deprived of things while still remaining healthy or within your calorie count for the day. Definite buy on the popcorn and bar but you may enjoy the chips and shake more than I did. 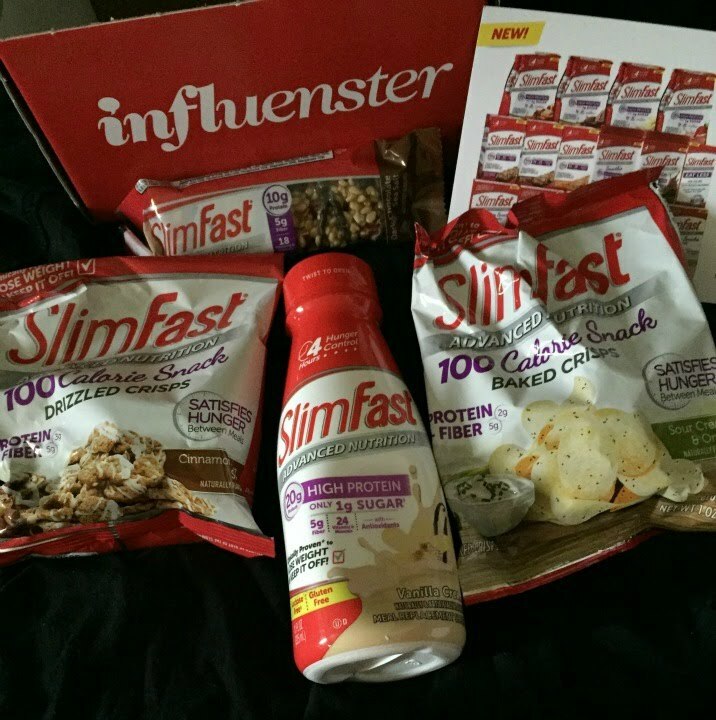 Still another great box from Influenster and I was happy to test it.